There are a lot of companies selling all manner of tents and shelters. This post is going to explore a wide range of shelter options. I intend to educate you on what is out there, and I hope that you might find something you like within your budget. 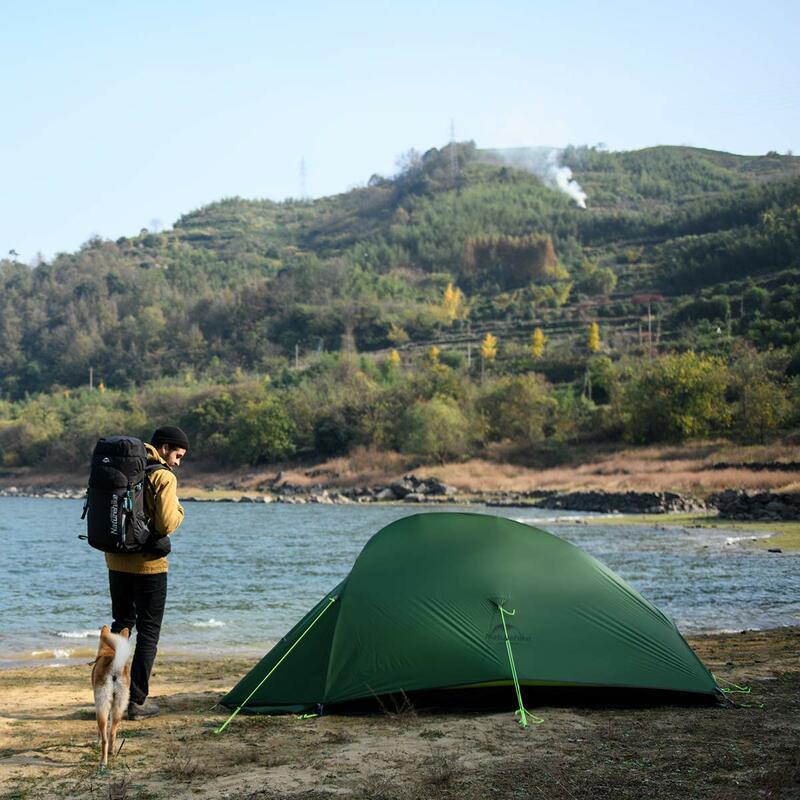 3 Lightweight tents are good for those that want to bug out and stay more mobile. 12 Questions to ask when planning a bug out shelter? 13 How cold does it get where you live? 14.1 Used shipping containers may have contained a wide variety of substances over the years. 16 Building your shelter may be a lot cheaper than buying something premade. 17 Very primitive shelters can work during extreme circumstances and are far better than nothing! 18 Consider what you are going to do for heat and for cooking. 18.1 What are your plans for bug out shelters? I am not asking you to give away your whole plan but are you planning on staying mobile or have you got a more permanent solution? What if your first choice is not available when SHTF? Have you thought about how to defend your location or how to fall back if you need to defend it briefly? These are impressive and come in many styles and sizes. For the durability and size, you get they are a good deal. The problem is that many of them are very large so they cannot just be easily carried into a remote location. If you want to set up a bug out camp that you can get to with some form of transport, they are an option. Tents are usually sold at military surplus stores and are often a better deal than buying online because of high shipping costs. Lightweight tents are good for those that want to bug out and stay more mobile. Bugging out for many people means staying mobile. If you are resetting your camp every night and moving on or just staying in a place for a few days at a time, then you want something you can put up and take down easily. Families on the move may want more than 1 tent. While I know people like their privacy, the advantage of having more people in a tent is conserving body heat and staying warm during really cold times. If you live in a warmer climate, this may not come up. 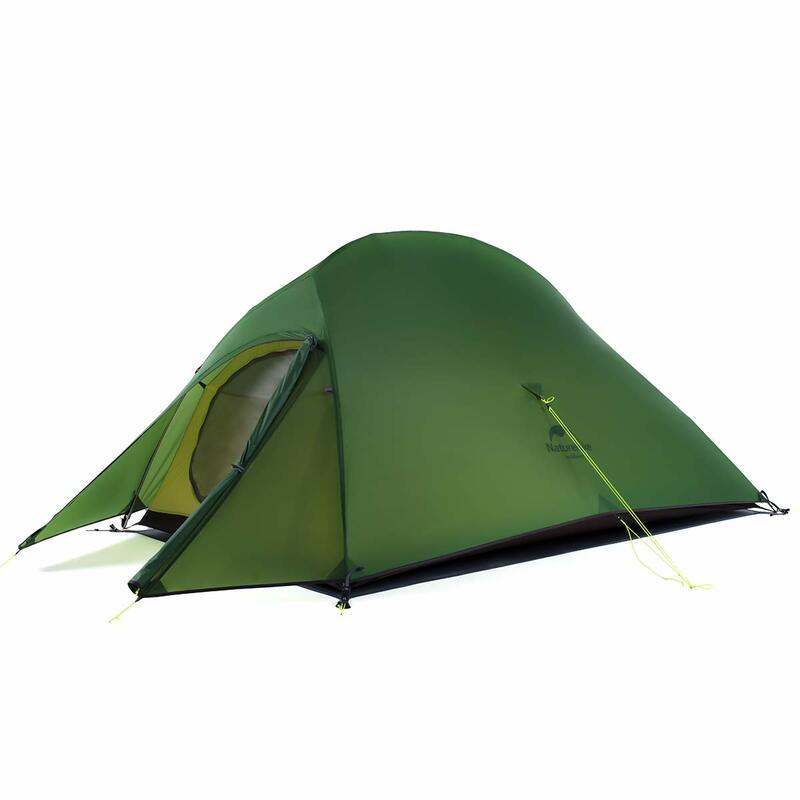 There are also plenty of backpacking tents that offer 3-4 season versatility. My husband and I have a two-person backpacking tent we have been using for 14 years off and on. It is made with a thick rain fly and good ventilation. It is getting a bit worn but when new it would have been an excellent small and portable bug out tent for 1-2 people in an area that has a wide temperature variation throughout the course of the year. The tent in the pictures above is similar to the one Matt, and I have used for years. Unfortunately, they do not make our brand of tent anymore. I would buy another one if they did. No tent is going to last forever. In many ways, you get what you pay for. Make sure you get a tent that can actually hold up in your climate and provide adequate warmth. These are a new item on the market, and they are really nice, but the price tag is a bit steep for many people. You can get a 16 or 24 ft shelter. Each shelter takes a few hours to set up, and after watching the video, I would want to make sure that I had some help and a decent small ladder even if it was just a few feet tall. You can get floor kits, insulation kits, and stoves for these shelters. I like that these shelters are an option for families that do not have a permanent bug out location. During SHTF you could throw this in a truck and head out somewhere remote and find a spot to ride things out. This is also an option for those that have land but have not found the time or money to build a structure to stay in. Also, I want to point out that even if you have a permanent structure, do you have any way to make extra space for others if they come to you for help during a long emergency? I know plenty of people are just planning on turning people away, but some of you might want to plan for others now. Maybe you have a bigger property and are older and would like some extra housing in case loved ones show up during SHTF or a long emergency, what if you simply need extra space so you can have some workers willing to pitch in for room and board? There are plenty of people that buy storage buildings off the side of the highway and turn them into small houses, guest quarters, or temporary housing until they can build a bigger and larger structure. Matt and I built our house and looking back we wish we would have bought a storage building that was insulated and lived in that until the house was livable. At the end w,e would have had a nice place to store items and it would have been better than the old Holiday Rambler camper. On the other hand, the Holiday Rambler was $300 and we lived in it for 18 months then used it for storage and guest housing and still sold it for $100 just to get rid of it. Not a bad deal. This brings us to…. The soft top pop up campers may be cheap but I will tell you that they are not made for permanent living or even extremely long term camping. The soft shell is just not a tough roof. Pop up campers can get a leak fairly easily. Even when just being stored flat, water intrusion can quickly make them not pleasant or safe to live in due to mold and decay. They also have no resistance to impacts from branches and debris flying around in storms so they don’t provide you with a good level of safety. In the winter time I would definitely not want to try to stay in a pop up unless I happened to be in a climate where it never really gets cold. Matt and I struggled to keep it 58-60 degrees even in a hard top camper with limited power. If you can find a used Airstream at a decent price, they can make an excellent bug out shelter. They are pretty heavy, so of course, you will need a truck that can at least get it in a place where you want it initially. One big thing that needs to be said about Airstreams is that even if the inside is pretty wrecked, the body is made like an airplane fuselage. It is really tough and can be gutted and totally redone. Sometimes you can get a real bargain on an airstream that needs a little work. Getting a fixer-upper means you can make improvements as you can afford them. This also allows you to customize the interior to meet the needs of you and anyone that may be bugging out with you. Airstreams come in a lot of different sizes and the maintain their value very well. Just because an Airstream is from the 70s doesn’t mean it is not a good buy. You don’t have to be a master carpenter to redo the inside of a camper really nicely. There are a ton of YouTube videos and books to help you along. A project like this is a productive and fun way to teach older kids and teens skills and spend some quality time with them. Even really young kids may be able to help with some small tasks. Anything that gets kids involved with prepping and learning survival skills or skills that will help them when they are older and may have to know how to repair something at their own home. I advise not moving into a camper without giving it a good clean up and tune up. Matt and I spent some tough times living in a camper that had no working bathroom or reliable internal power system. At one point we had a 200+ power cord running from our temporary pole at the house site down to our camper. In rain or lightning, the breaker would often pop, and we would have to hike up the mountain to reset it. Remember that RVs that are in decent shape have some value. You can use a camper for a while and then resell it and get a lot of the cost back. Even our crappy $300 one we still got $100 for years later. $200 rent for 18 months and then another year of storage was a pretty good deal even if it was hard. There are a lot of cabin kits out there. I have only explored a few. If you want something that is all in one, then they may be worth it but I encourage you to be cautious and make sure kits will meet your goals. The Amish built cabin kits from Kentucky are appealing and come in many different sizes. The costs include construction and delivery as well. You should shop around a bit when looking for a cabin kit. Companies closer to your home will likely have a better deal, but there are some places that cater more towards building fancy vacation homes. These are not for the prepper that wants something basic they can work with over the years. I include yurts here because they are very versatile. You can get thicker walls and insulation if you live in colder climates or you can keep it light and minimal if you are in a mild one. This is a time tested design, but it can take a bit of getting used to if you are like most of us and have only lived in buildings based on a square. There are a lot of places making yurts. Due to the high cost of shipping anything heavy, you are probably going to be better off going with a company that is close to where you live. Shop around and make sure you know what options you can get. For example, you may set up your yurt in the summer and not need an insulative cover until later. This may help you get started with a more minimal investment. Privacy in yurts can be a concern because they are based on an open floor plan. You can add in partitions using curtains or removable panels if desired. There are a lot of ways to make dividers if you put your mind to it. Questions to ask when planning a bug out shelter? How many people is the shelter for? Be realistic about how many people the shelter is intended for. Are you going to turn away some of your close family? How many people do you really need to prepare for? A little extra space can be nice to have regardless so that is something to consider as well. How cold does it get where you live? People have lived in very primitive structures and survived the cold. You need to think about the minimum temps you are going to be dealing with and the needs of those in your household. Elderly people and children get cold easier than others. Being cold also makes you burn more calories even if you are sedentary so you will be tempted to eat more if cold. People also get grumpy when they are cold even if they don’t realize it themselves. My husband and I had some time in our house where we struggled to keep it in the 50s because I decided we should move in before it was finished. We did not get the insulation in as soon as we expected. Then the time in the camper was a struggle too. Being in cold conditions is doable, but there are consequences. 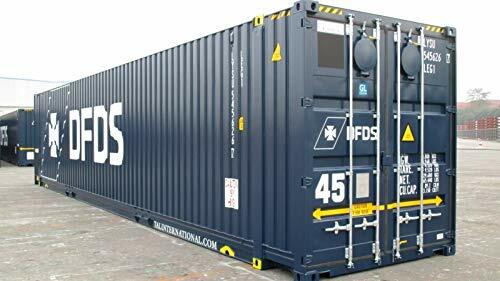 A 40 ft shipping container is available on Amazon for $6,000 including shipping. They claim they can get them to you in 5 days. A lot of people have made shelters and homes out of shipping containers. Like any building system or material, there are some things you should consider before making a final decision. Used shipping containers may have contained a wide variety of substances over the years. Shipping containers are used for a lot of different things. For some, this may be a concern. There may be no guarantee that the container you buy was not used to ship or even store for long periods of time, toxic substances. This issue is one of the reasons why people buy new shipping containers to use for storage or a family home. If buying a container from an individual, make sure to check it over well. The reason a lot of people risk it with a used shipping container is the huge difference in cost. A used shipping container may be $3,500-$5,000 whereas a new is substantially more. Even if a seller tries to tell you that nothing terrible was stored in a container, I would be careful about believing that. These containers are used by freight companies and may have been in service for quite some time. There are some places that sell containers that have only been slightly used but make sure that is what you are actually getting if you are concerned about contents. As far as I can tell, these containers are called one-trippers. Remember that a shipping container is going to require quite a bit of work to make it livable. Ventilation and light are two of the major concerns. Insulation will take up some of your floor space as well as interior walls. This means the interior of your container is going to be a bit smaller by the time it is finished. One of the biggest challenges when living in a camper was the condensation that happened in the winter. When Matt and I were doing our 18 months in the Holiday Rambler, we went through 2 winters. When cleaning we quickly realized that we needed to flip our foam mattress up every day or the condensation on the plywood underneath would be awful. To help with the issue, we bought a small closet sized dehumidifier. It helped some but we still needed to flip our mattress. Shipping containers, campers, and travel trailers will need to have measures taken to control moisture in the winter. You can get dehumidifiers that charge on USB nowadays. Damp-rid or a similar product can help but it was not enough for Matt and me when we lived in the camper. It is a good idea to check beds and try to allow some airspace between mattresses and the floor. You can deal with the moisture issue fairly easily. But you do have to remember to empty dehumidifiers and allow air space when possible. Building your shelter may be a lot cheaper than buying something premade. Like so many things, convenience can cost you a lot of time. It is great when something goes really fast and you don’t have to worry about every small thing. The truth is that going fast and letting someone else do the work can double or triple the cost overall. Even just doing part of the work yourself can save a lot of money over the long term. I know from building a house that the finish work is expensive. If you get others to construct the main frame and can do the interior work yourself you will come out ahead. Insulation is annoying but pretty easy to put in. Very primitive shelters can work during extreme circumstances and are far better than nothing! A lot of the shelters I have talked about in this post require a significant investment of time and money. These shelters also weigh quite a bit. If you have to get out fast or have no way to get a shelter to a safe place, you may be forced to construct one on site. I wrote a post a while back discussing various makeshift shelters that can be constructed with items that are found in the woods. If you are not in a wooded area, then you will face some additional challenges. Consider what you are going to do for heat and for cooking. Do you plan on using an actual wood stove for heat and cooking? Well if you do, then you will need to plan for that. Plenty of tents have wood stoves in them. The shelters and army tents discussed in this post often have a hole made for a chimney to go through. This is not guaranteed. Make sure the model you are buying either has one, or see if you can easily add a chimney hole later without compromising your shelter. I see plenty of bushcraft enthusiasts that construct serviceable lean-tos and other shelters that have fires near them or even under some type of covering. Part of the secret is taking in your surroundings and envisioning what you can do with what you have. A rock outcropping, for example, may mean you already have a good roof. You just need to close in some sides to provide further warmth and protection. 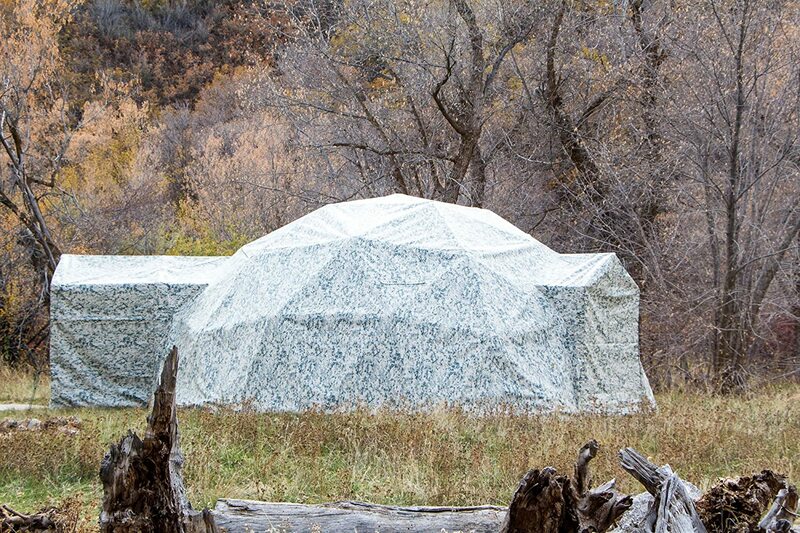 What are your plans for bug out shelters? I am not asking you to give away your whole plan but are you planning on staying mobile or have you got a more permanent solution? What if your first choice is not available when SHTF? Have you thought about how to defend your location or how to fall back if you need to defend it briefly? Samantha Biggers can be reached at [email protected]. We have 3 1/2 acres south-slope with water seeping out in several places feeding a year-round creek at the bottom (good water supply). The good old house has basement, attached garage, is in the lower corner with a barn converted to a shop nearby. Darn-near perfect, and tempting to have no backup plan. But I’m scheming on cutting into the hillside at the top to build a habitable shed into it. At 70 years old, I will have to hire some of the help constructing it. Otherwise I would probably go with Earth Bag walls. Currently I’m leaning towards cinder blocks on the west, north and east sides, insulation outside back-filled with drain rock. The south side I can build of timber, wood and used windows. I’m thinking the roof will be I-beams and lumber with a layer of insulation, plastic, then a foot of earth. I can fill in the shell over time.